Pumpkin Praline Bread Pudding is an easy, rich, hugely popular, and impressive dessert. However, my husband let me know he does not like pumpkin pie and does not want pumpkin pie for Thanksgiving. I, however, do like Pumpkin, as do others in the family, and want to include it with the Thanksgiving dinner. I searched for all types of pumpkin recipes, including the ever popular pumpkin cake roll. I made it last year, and it was an Epic Failure. I discovered I am cake roll challenged. I did manage to salvage it and turn it into a layer cake. Hubby liked it ok….better than pumpkin pie but not Wow. 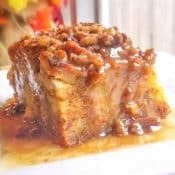 I remembered last year I had made a fantabulous (is that a word) bread pudding called Bread Pudding with Praline Sauce on AllRecipes.com. It was the best pudding I had ever made…until now. This year I decided to add pumpkin to that bread pudding and wow is this fantastic! It is rich and creamy and sweet and crunchy and pumpkin-y all in one. And it is SO MUCH EASIER than that cake roll…and you don’t have to mess up your counters trying to roll the cake. 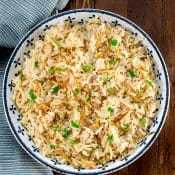 Another bonus is that this is a great recipe to make in advance and can be served hot or cold. If I, the cake roll challenged person that I am, can make this bread pudding, you can too. It is your turn! Follow the directions below, and it is a piece of cake….or, uh, in this case, bread pudding. Give it a try, and let me know how you like it. 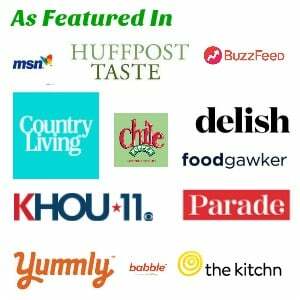 I love to receive your feedback on my recipes. 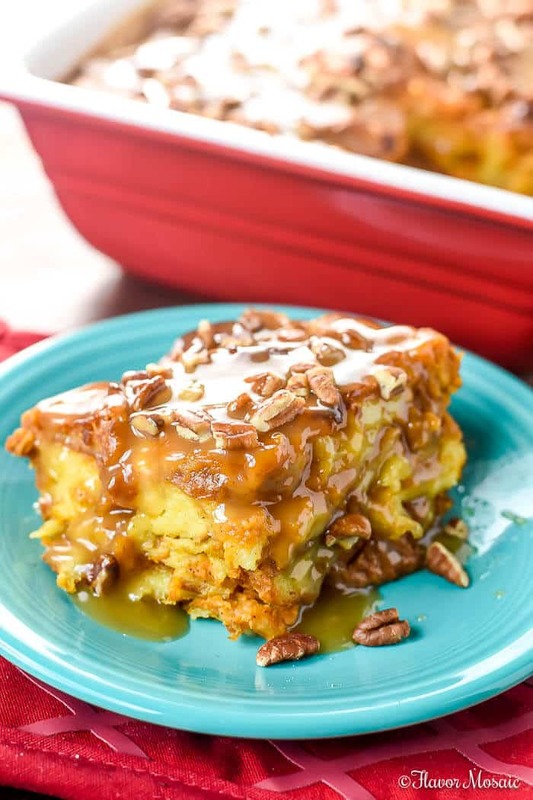 This Pumpkin Praline Bread Pudding has been shared over 200,000 times (which blows my mind) and has become a family favorite in many households. Will it become your favorite? Try it and leave a comment below. Hungry For More? 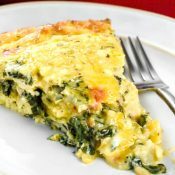 Receive FREE recipes in your inbox! 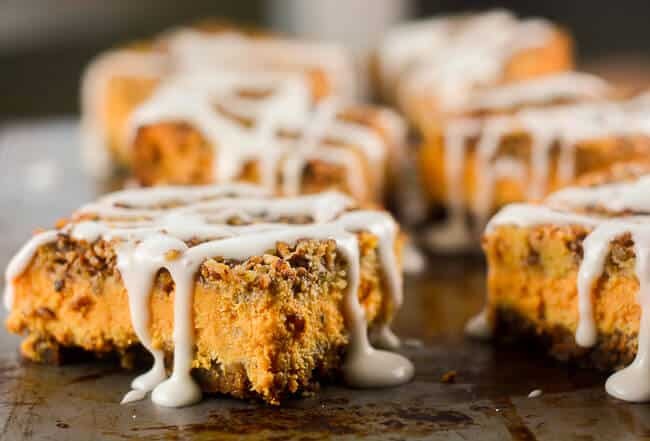 If you like this recipe be sure to check out these other pumpkin recipes. 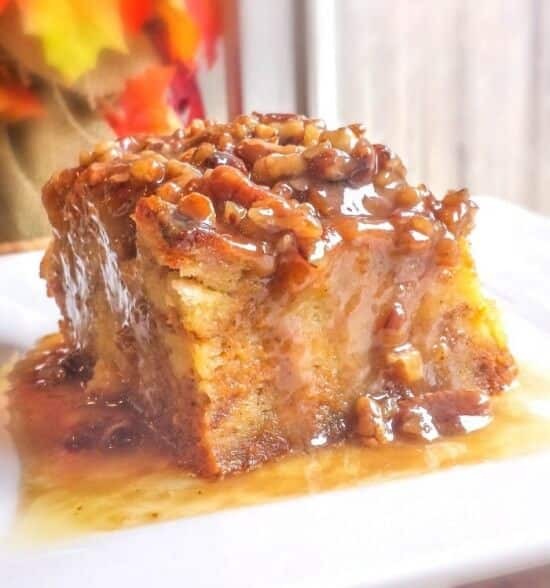 Pumpkin Praline Bread Pudding is a rich, creamy, sweet and crunchy decadent dessert made with challah bread and pumpkin puree that is an alternative to pumpkin pie for Thanksgiving. Hungry For More? Join to receive FREE recipes in your inbox! 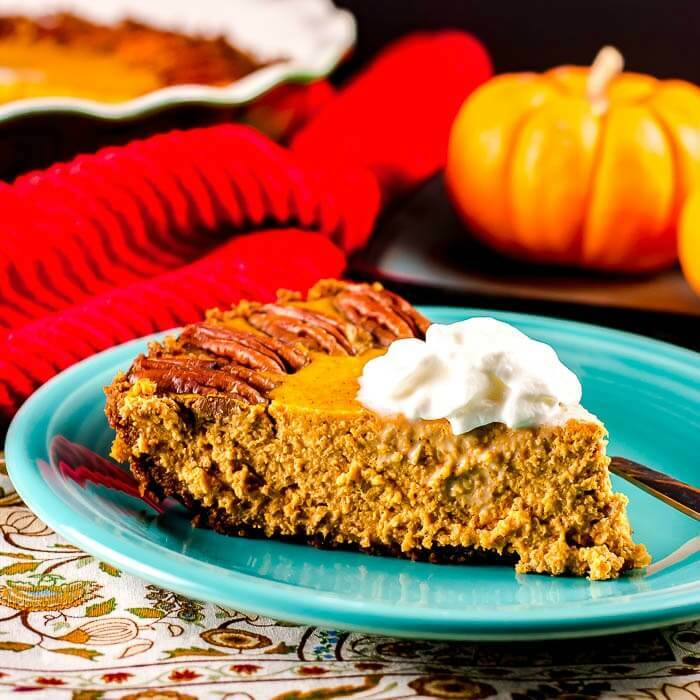 * Crustless Pumpkin Pie - Pumpkin Pie that tastes so good you won't miss the crust. 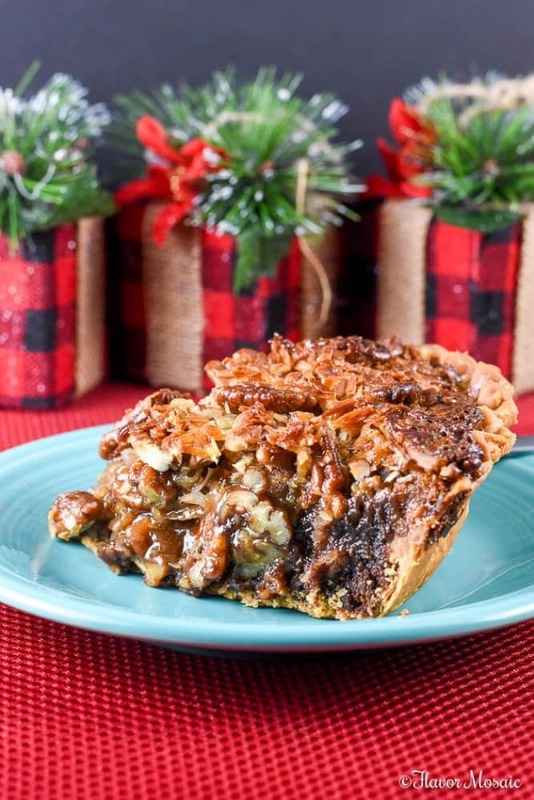 * German Chocolate Pecan Pie - Adds chocolate to pecan pie. * Eggnog Tres Leches Cake - Adds holiday cheer to a Mexican dessert. For more desserts, see below. 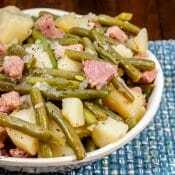 Check out Flavor Mosaic for recipe ideas for Thanksgiving sides dishes. 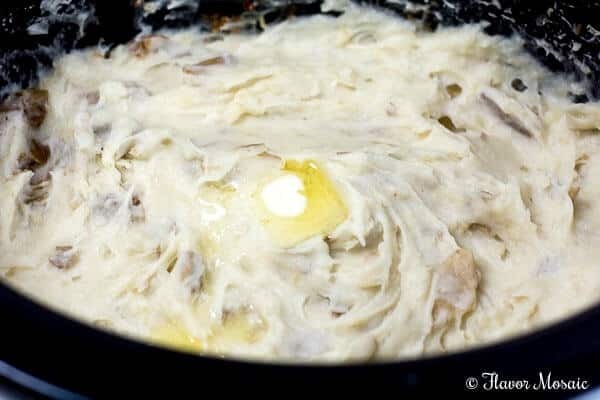 Reduce Stress this Thanksgiving by making these Slow Cooker Mashed Potatoes. 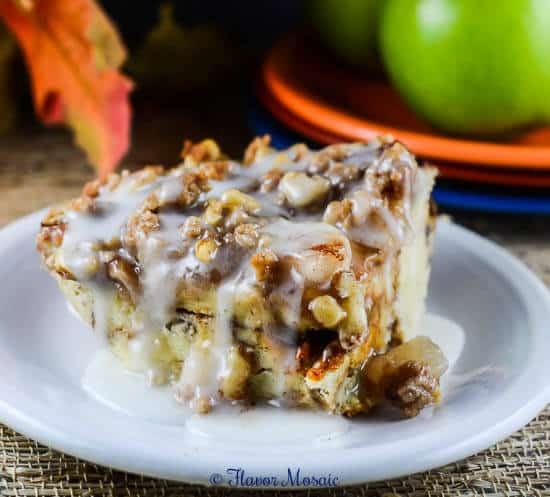 If you like this bread pudding, try my Cinnamon Apple Pie Bread Pudding! 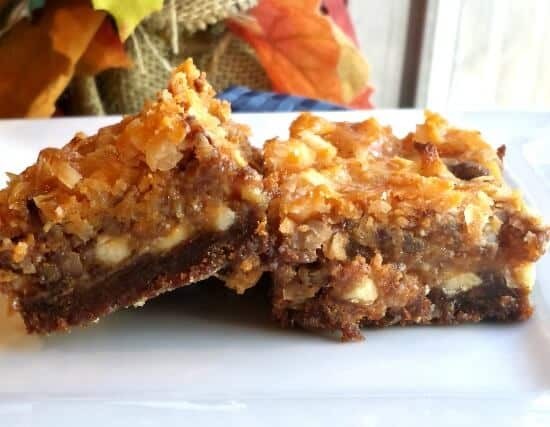 If you are looking for pumpkin desserts, try these Pumpkin Magic Bars. For more pumpkin recipes, try this Pumpkin Maple Coffee Cake from Life Tastes Good. Disclaimer: This post contains affiliate links, which means I receive a small commission if you make a purchase using this link, at no additional cost to you. I want to make this tomorrow…can I add whiskey to the sauce? How much? I have not made it with whiskey before, but I’m sure it would taste great with whiskey. I would recommend starting with a small amount, maybe two tablespoons, and taste it to see how you like it. Then add a little more and taste it. 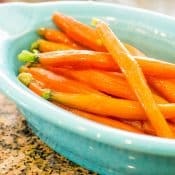 I have seen recipes that add 2 tablespoons, others 1/4 cup, and I have seen one that has 3/4 cup. I think it depends on your preference. If I am making this to be served later, should I go ahead and pour the sauce on ahead of time, or put it in a separate container and let people do it themselves? Hi, I may be too late. You could put it on just before serving. 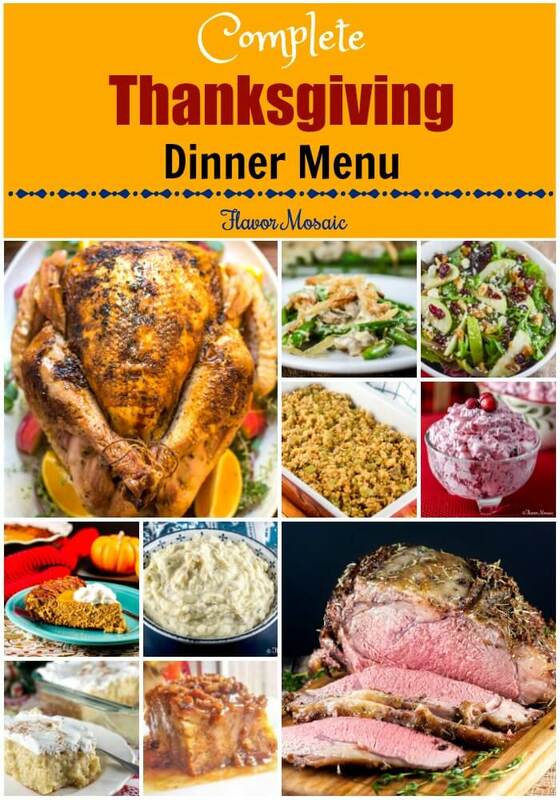 This recipe become my family favorite sweet treat on thanksgiving or even special day since you post this back in 2013. Thank you! could this be baked a day ahead? or earlier in the day? Hi Holly, yes, this could be baked either a day ahead or earlier in the day. I would recommend making the sauce shortly before you serve it. However, you could make the sauce ahead of time. I would recommend reheating the sauce, and pouring it over the bread pudding shortly before you serve it. 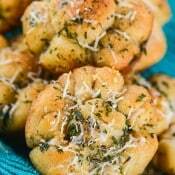 Do you think this recipe would work using croissants instead of regular bread or french bread? I have never tried using croissants, but I bet that would be delicious! Yes. You can refrigerate it. I would recommend refrigerating before putting on praline sauce because the praline sauce will become hard. About how many cups of bread cubes do I need? A 1 pound loaf of bread equals 16 ounces, which is equal to 2 cups. (if the bread were all smashed in there with no air in between the cubes.) However, that said, basically, you need enough bread cubes to fill a 9×13 baking dish. Let me know if you have any other questions. I work at a small retirement home and do most of the baking and this receipe was a hands down favorite. One of the residents said that it was the best dessert he ever had – and he hates pumpkin. I used half a loaf of frence bread and a package of stale King’s Hawaiian Rolls. Will be making it again for Christmas for the residents and one for my family! 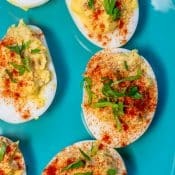 This looks soooo good! The weather has been so cold here in Ohio. It feels like Fall on somedays. I can’t wait for summer but I’m sure in the mood for everything Pumpkin. What a wonderful idea! Thanks. It has become a holiday favorite! Have you ever made with Brioche? 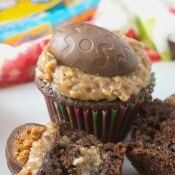 Also, can I make this today, put in fridge overnight and bake tomorrow? Hi Joellyn, Brioche would be perfect for this dish. Yes, you can refrigerate overnight and bake tomorrow. 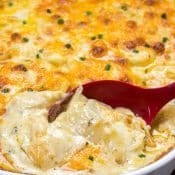 I have made this on Thanksgiving for 4 years in a row, a family favorite! So rich but so good. I made this yesterday, praline sauce and all. Poured the sauce on it and put in refrigerater. At 3am this morning i realized i should not have added the topping. Any suggestions on how to heat it up and make it moist again? Its our dessert for tonight!